Sign up for a series of 5 lessons before May 1st 2019 and get 1 extra lesson free. Amstelpark Padel offers padel lessons for people of all levels. Whether you are playing padel for the very first time in your life or you are an experienced padel player, our professional padel coach Tim Wolters will make you a better player. You can choose to follow group or private lessons. A padel course at Amstelpark always consists of a series of 5 lessons. Want to try padel out? Book a 50-minute trial lesson and pay only € 50,- (max. 4 players). Eacht subesequent single 50-minute lesson costs € 75,- (max. 4 players). Click here to request a trial or single lesson. Amstelpark Padel head coach and manager Tim Wolters learned about padel in 2016. From the very first moment he picked up a padel racket he fell in love with the sport. 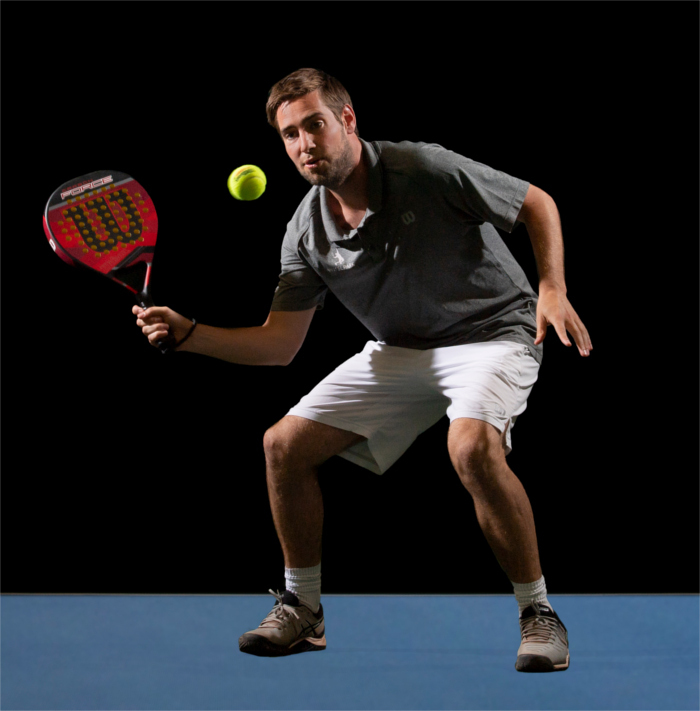 Tim has been playing racket sports all his life and was even a tennis coach for 8 years. In the meantime he has become a great fan of padel as well and has an official padel trainers license through the KNLTB. Tim would love to meet you in his lessons and vows to make you a better padel player if you choose to join him.